Fans of the Odyssey will be pleased to know that the minivan is still packed with tech features and fun to drive in 2019. Although little has changed for this model year, some features that were previously available as add-ons are now standard. The higher level trims, for instance, now have an extra USB charging port in the center console. 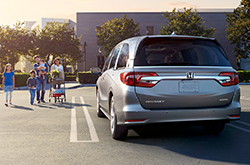 Safety has always been a priority for Honda, which means there's no shortage of safety features in the Odyssey. In 2019, customers will find the Honda Sensing package, which has a variety of safety mechanisms and driver safety tools like lane keep assist and road departure warning. Passengers can stay entertained on even the longest road trips with features like Apple CarPlay and Android Auto. Backseat passengers can enjoy a 10-inch entertainment screen for watching movies, and a Blu-Ray player is available too. Other notable features are a hands-free power liftgate and a powerful audio system with 11 speakers. Customers can enhance their ride with leather seats, a heated steering wheel, and heated seats. 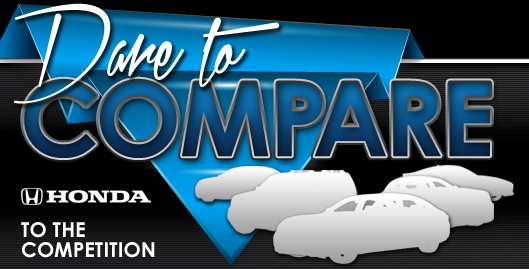 What Is Included with the Six Trim Levels? There are six trim levels available in the Odyssey. The base model is called the LX. Features that come standard on the LX include a panoramic rearview mirror, a five-inch LCD infotainment screen, and split-folding back seats. The LX also comes with USB ports and hands-free connectivity. It has knee airbags for the driver and front passenger, along with intelligent traction control for driving in the snow. The EX is the second-highest trim. It has removable and foldable second row seats. The EX also has LED daytime running lights. Standard in this trim is the Honda Sensing safety package. 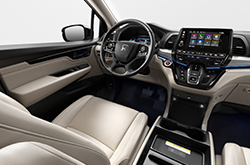 The EX has a three-zone climate control system and driver's seat with a 12-way power adjustment and lumbar support. The EX also has a keyless entry system, Android Auto, and Apple CarPlay. Its safety features include blind spot monitoring and cross-traffic sensors. The EX-L is the third highest trim level. Three USB ports and an automatically dimming rearview mirror are notable features on the EX-L. This trim also has a power-operated moonroof, a leather-wrapped steering wheel, and leather-trimmed seats. Acoustic glass in the windows reduces road noise. The EX-L Navi Res has the same features as the EX-L plus a navigation system. The Touring comes with Honda's unique "CabinWatch" monitor, which lets parents keep an eye on their children without turning around. LED headlights and a 10-speed automatic transmission are standard on this trim. The top model is the Elite. The Elite features rain-sensing windshield wipers, heated and cooled front seats, a leather-wrapped steering wheel, and ambient interior lighting. All trim levels of the Odyssey share the same engine, which is a 3.5L, V6 engine. The engine produces up to 280 HP and 262 LB-FT of torque. A nine-speed automatic transmission comes standard on all trim levels except the Touring and Elite models, which come standard with a 10-speed automatic transmission. Paddle shifters are paired with the automatic transmission on all trims. The 2019 Odyssey has an average fuel economy of 19 MPG in the city and 28 MPG on the highway. Does the Honda Odyssey Come With Honda Sensing? The Odyssey is equipped with an array of safety features. Its notable safety components include adaptive cruise control, road departure warning, lane keeping assist, and a collision mitigation braking system. The Honda Sensing safety package comes standard on all trim levels except the LX, but the package is available as an add-on. Joining the safety package are the innovative CabinWatch, which is a camera that allows parents to monitor their children in the backseats, and CabinTalk, which is a voice broadcast system that lets parents record and transmit messages to their children. This feature allows the front row occupants to communicate with backseat passengers without taking their eyes off the road.